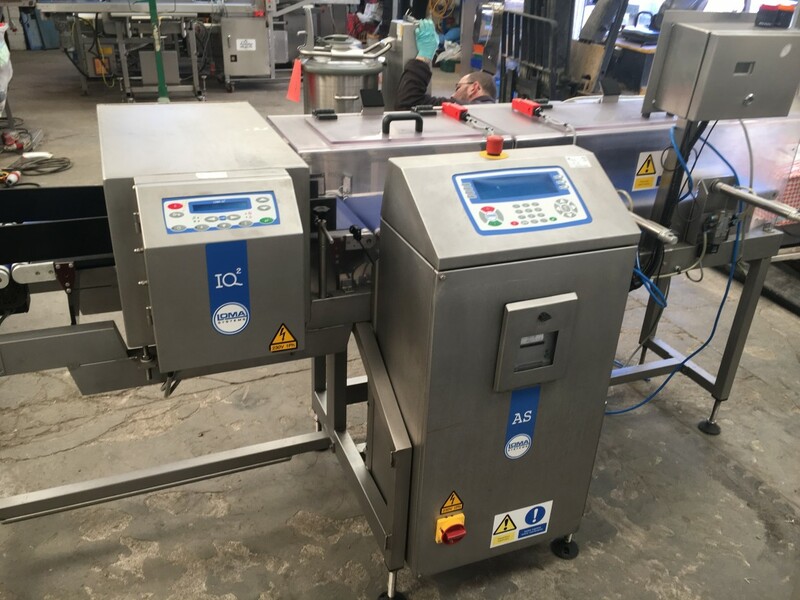 Loma IQ2 combi unit with AS 1500 check weigher. Aperture 350mm wide x 200 high. Twin push arm reject.